Gaston Leroux (May 6, 1868, Paris - April 15, 1927, Nice) was a French journalist and novelist. In the English-speaking world, he is best known for writing The Phantom of the Opera (Le Fantôme de l'opéra, 1911) which has been made into several film and stage productions (see Phantom of the Opera). Leroux began working as a court reporter and theater critic for L'Echo de Paris in 1890, but his most important journalism came when he began working as an international correspondent for the Paris newspaper Le Matin. In 1905 he was present at and covered the Russian Revolution. He left journalism in 1907 and began writing fiction, his first being a mystery novel entitled Le Mystère de la chambre jaune (1908; The Mystery of the Yellow Room), starring the amateur detective Joseph Rouletabille. The Mystery of the Yellow Room is an important work in the history of dectective fiction as it was the first "locked-room puzzle," which has become a staple in the genre. Leroux's contribution to French detective fiction is considered as parallel to Edgar Allan Poe's in America and Sir Arthur Conan Doyle's in the UK. 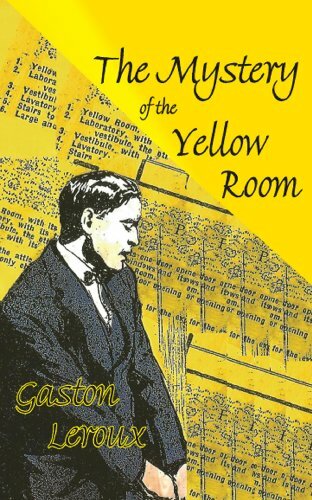 The Mystery of the Yellow Room is a locked room mystery crime fiction novel written by Gaston Leroux, first published in France in 1908. Leroux weaves the tale of a diabolically complex and seemingly diabolically perpetrated crime in which the criminal appears to disappear into thin air. Such is the mechanical and logistic complexity of the puzzle that Leroux is obliged to provide the reader with detailed and precise diagrams and floorplans illustrating the scene of the crime. Further impossible problems emerge as the story progresses towards a dramatic and sensational denouement. The emphasis is firmly on the intellectual challenge to the reader, who will be hard pressed to unravel every detail of the situation.